Jonathan Adams, born 1740 immigrated to America from Ireland in 1760 and was of Scotch-Irish descent. He first settled in either Virginia or Pennsylvania. Jonathan later settled in North Carolina in 1760 and in 1762, he married Mary Robeson of Bladen County,North Carolina. Mary was born in 1742 and was the daughter of William Robeson, son of Peter Robeson. After remaining in Bladen for some time, Jonathan and Mary moved to South Carolina. They were the first Adams family to make their appearance in Marlboro County, North Carolina. From this marriage descended a large and highly respected family whose progeny has spread to numerous cities of South Carolina, North Carolina and across the country. Tradition has been passed down from one generation to another that Jonathan Adams was a direct descendant of the Adams family of Quincy, Massachusetts, family of the two Adams presidents. This relationship has not been proven as of yet. Jonathan Adams is said to have fought in the Revolutionary War as a Whig, but research continues to find proof of such information. It is said that upon returning home from the war at its end, he died when only a short distance away. He was buried between Lynch's Creek and the Pee Dee River. After the death of Jonathan, his widow Mary is shown to have married her cousin, Luke Robeson from Richmond County, South Carolina. The Adams of this time were Quakers and worshipped at the old Quaker Meeting House in Pine Grove, which later became a Methodist Church. 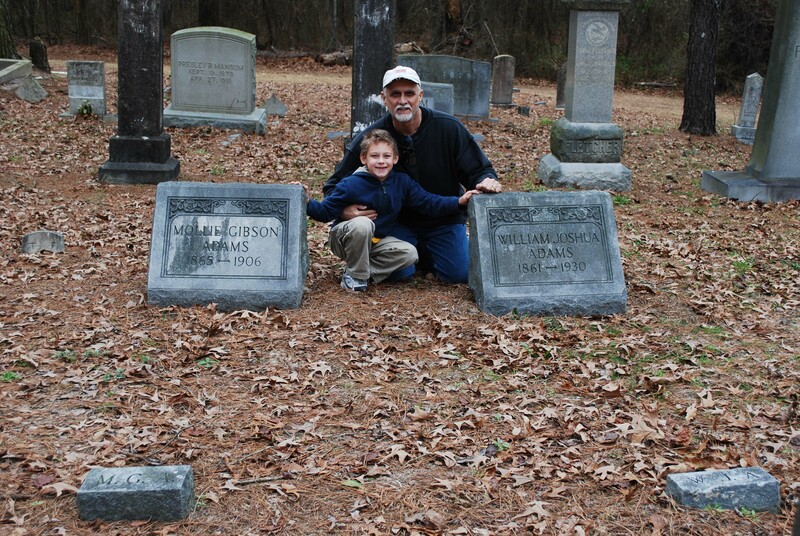 William M. Adams was born on 1/18/1764 in Anson County (now Richmond) , North Carolina and died 1/18/1860 in Adamsville, Marlboro County, South Carolina. He is buried in the Monument Bethea Cemetery (Pine Grove Church) near the Fletcher Memorial School in Marlboro County, South Carolina. foot on Marlboro County soil. Erected in 1941 by the Saturday Afternoon Book Club"
(The following excerpt is taken from the "History of Marlboro County", by the Reverend J.A.W Thomas, pg.111 by permission of Mrs. E.M.Harris, Jr., grand-daughter of the Rev. J.A.W Thomas.) "..... about this time a party of Tories came over from North Carolina into what was then called the Piney Grove settlement, now Adamsville. They caught a young boy named William Adams. They demanded of him information as to the locality of certain treasures and hidden persons. Adams knew of these things, but determined that it would be wrong to the cause of his country and the safety of his friends to tell the foe what they wanted to know. They tried to frighten him. They procured a cord, but Adams was firm. Around his neck they tied it, but no disclosure would he make. The cord was thrown over a limb, and he was drawn up and choked and let down again, being ordered to speak. Still, not a word of information could they exert from his lips. The second time his feet were drawn from the earth and again they let him down and told him that this was the last chance for life. Speak the words and live, refuse and hang 'til dead. Firmly he stood. To die was better than to live under a burden of shame. Once more they drew him up, tied the cord and went off leaving him hanging to die. Fortunately for himself, Marlboro County and his descendants, his mother happen to be passing by in time to let him down before life was extinct. William lived to raise a large family of excellent people and today a host of young and old people are proud to have descended from him." Jeptha was born on 8/11/1818 in Marlboro County, South Carolina and died on 7/9/1882 in Marlboro County, South Carolina. He is buried in the Fletcher Cemetery in Gibson, McColl, Marlboro County, South Carolina. Jeptha is recorded in the 1880 United States Federal Census as being a farmer. According to the 1850 census, he was a slave owner with the following 6 workers: Age 30 Female Black, Age 21 Male Black, Age 16 Female Black, Age 11 Male Black, Age 3 Female Black, Age 1 Male Black. He married Eliza Ann (Annie) Fletcher; their marriage date is unknown. Eliza was born on 12/13/1820 in Marlboro County, South Carolina and died 10/29/1902 in Gibson, McColl, Marlboro County, South Carolina. 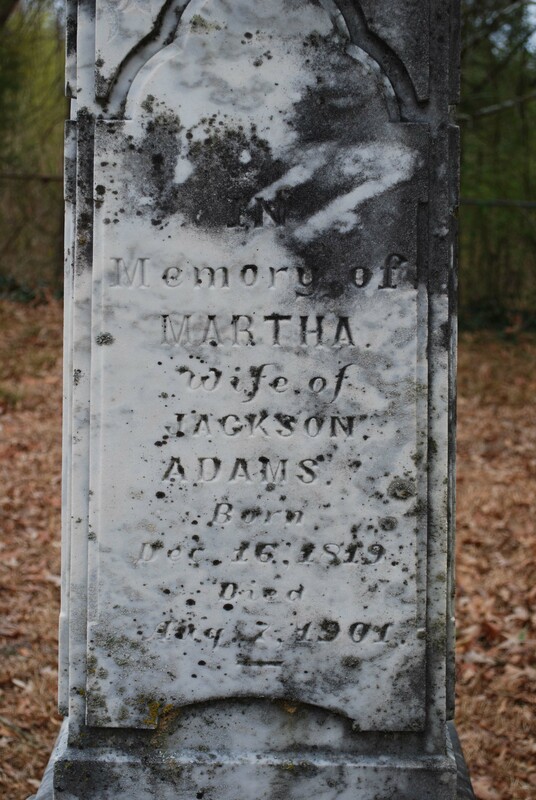 She is buried with Jeptha in the Fletcher Cemetery in Gibson, McColl, Marlboro County, South Carolina. Eliza was the daughter of Joshua Fletcher (1790-1857) and Nancy Smith (1791-1833). William Joshua was born on 9/18/1861 in Marlboro County, South Carolina and died on 10/25/1930 in Gibson, McColl, Marlboro County, South Carolina. He is documented as being of the Methodist faith. He married Mary (Mollie) Louise Gibson in 1880 in Scotland, North Carolina. Mary was born on 4/04/1865 in Richmond County, North Carolina and died 10/30/1906 in Gibson, McColl, Marlboro County, South Carolina. 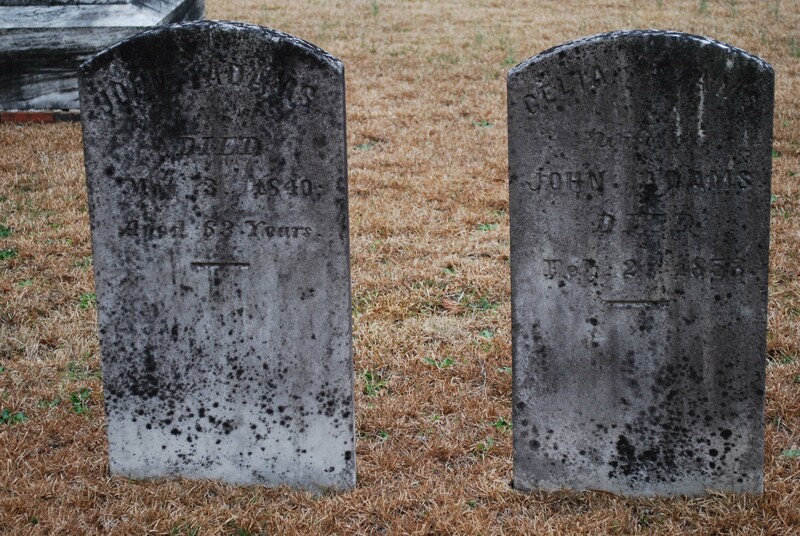 They are both buried in Fletcher Cemetary, Gibson, McColl, Marlboro County, South Carolina. Mary is the daughter of William Gibson (b. 1819 d. 1882) and Sallie McLaurin (b. 1832 d. 1883). William Perry was born on 9/18/1888 in Marlboro County, South Carolina and died on 6/8/1964 in Columbia, South Carolina. He is buried in Elmwood Cemetery near Lincoln Street in Columbia, South Carolina. He married Sadie Elizabeth Moore circa 1909. Sadie was born on 10/29/1889 in Bennettsville, South Carolina and died in 1941 in Newton, North Carolina. She is buried in the Bennettsville Cemetery in Bennettsville, South Carolina. William is said to have sold vegetables in Columbia, South Carolina. He was described as being a strong, well-educated, and athletic man. He lived in New Mexico for a little while. He also served in WWI, according to the Military Draft Registration of Marlboro County, SC. Sadie is described as having long silver hair and a thin face. It is said that she was Native American, possibly of the Cheraw Indian tribe, the Lumbee band. 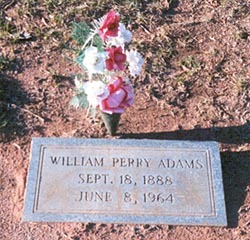 William Carey Adams b. 10/29/1912 d. ? Thomas McLaurin, known as Tom, was born on 1/04/1919 in Gibson, Scotland County, North Carolina and died at his home of a heart attack in Columbia, South Carolina in November of 1995. He is buried at the GreenLawn Cemetary in Columbia, South Carolina. Tom married Bonnie Seagle Lackey on 3/17/1946 in Columbia, South Carolina. Bonnie was born 8/10/1926 in Newton, Catawba County, North Carolina. She is the daughter of Forney Alexander Lackey (b. 1874 d. 1942) and Lillie Alice Seagle (b. 1882 d. 1953). Stephen Moore married Claudia Turner. Living. *** Brian took Jaime's last name when they were married and their children will be descendents of the Adams family. Jaime Leigh was born in Albuquerque, New Mexico. Jaime married Brian Lee Dickreiter in 1996. Living. Brian was born in San Antonio, Texas. He is the son of Gladys and Walter Dickreiter. ** Brian took Jaime's last name upon marriage. Brian Joshua, known as Joshua, was born in San Antonio, Texas. Living. Samuel Walter was born in San Antonio, Texas. Living. 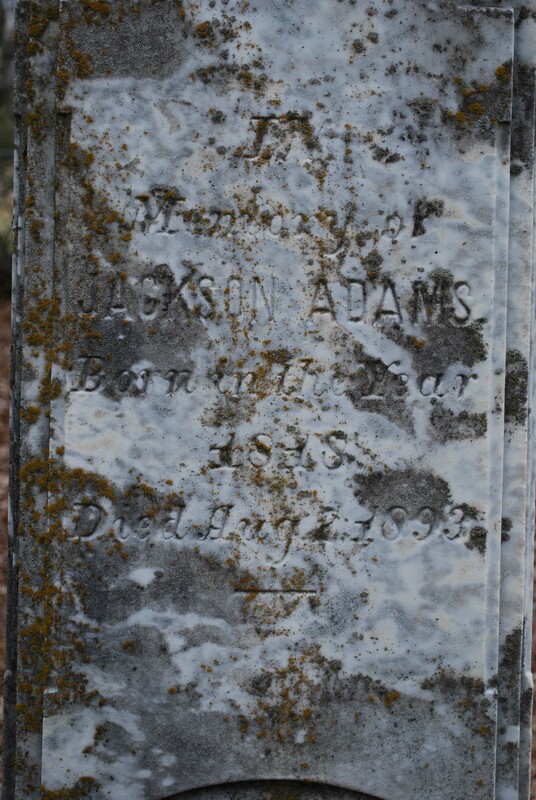 **Note: The information gathered here is a piece by piece collection from many sources that I have combined personally to create a more complete early Adams Family History. If you would like to know the sources used to gain this information, please feel free to email me at the address below. The permission of those living individuals described here has been obtained in order to post their information.